It’s no secret that Reiki can help physical ailments such as sprains, strains, bumps and bruises. Although, for more serious injuries, you may want to consider seeking help from a medical professional like CKPHYSIO.CO.UK. This anecdotal story comes from an experience I had when I sprained my ankle a few months back. I was wearing clogs at the playground (not a good shoe for chasing a toddler) and carrying my son down a hill when my ankle suddenly gave out on me and I crumpled to the ground. Luckily, I didn’t drop my son. I have a very high tolerance for pain but this brought tears to my eyes as searing waves of hot pain shot around my ankle and up my leg. I couldn’t move my foot. I couldn’t put any weight on it. I was able to hobble to the car with the help of my husband and get home to settle in on the couch. When my husband (who is Reiki attuned as well) was able to treat my ankle, instantly his hands were hot. I felt a warm radiating heat pulsing through my ankle and up into my leg. He treated me for about 15 minutes – our toddler came over to “help” as well. He “patted” my leg repeatedly and it hurt so we agreed that my husband would continue treatment after our son went to bed. I continued nursing my ankle by resting with it up on the couch, and I began thinking about purchasing an ankle brace amazon since my pain was simply not going away. I tried beaming Reiki to it rather unsuccessfully. I did not take any pain medication throughout the entire ordeal. I couldn’t stand or put weight on my ankle. Every time I moved hot, searing pain shot through it and up my leg. It didn’t abate. Later that evening, as I rocked my son to sleep (giving him Reiki!) my husband was able to treat my ankle for a full 30 minutes. I felt pulsing rushes of electricity running up my leg. It was searing yet soothing too. When he finished I was able to stand fully and place my son in his crib, finally asleep. I was able to put full weight on my ankle as I walked downstairs. I continued to rest it on the couch (just as a precaution of unknown origins on my part). In the morning, when I woke up, it felt typical – as if it had never had an injury. I was able to go about my day with no pain. Would this work if it’s not immediately after? I sprained both ankles 4 years ago, and now and again for some energetic reason it flares up. This time it’s lasted 7 weeks. Docs couldn’t figure this out and I’ve just had to live with it. I read today that a sprained ankle is only 18% as strong as it was before. I’ve been doing online reiki and diurnal beat sessions all day on my knees. Such a lovely question Emily! 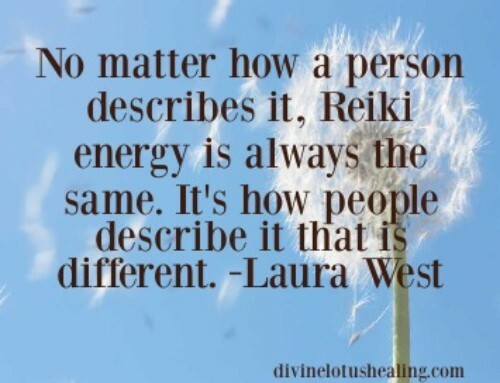 Although I’m not medically trained and cannot diagnose conditions, I can tell you that I have worked successfully with many clients to support them with old injury sites physically in the body, using Reiki. In most cases, we’ve successfully shifted the stuck energy around old injury sites and people feel a sense of balance. I hope this helps you! Many blessings. Amazing anecdote. I think a Reiki trial is in order.